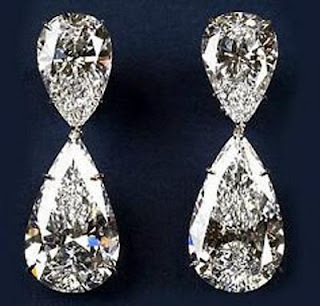 These Diamond drop earrings are the creation of Harry Winston. The 60 carat diamonds are mounted in platinum. The drop shaped earrings are suitable for any outfit.